If you've had a break up, learn from it. Let the pain make you stronger. There's someone out there that isn't like the rest. 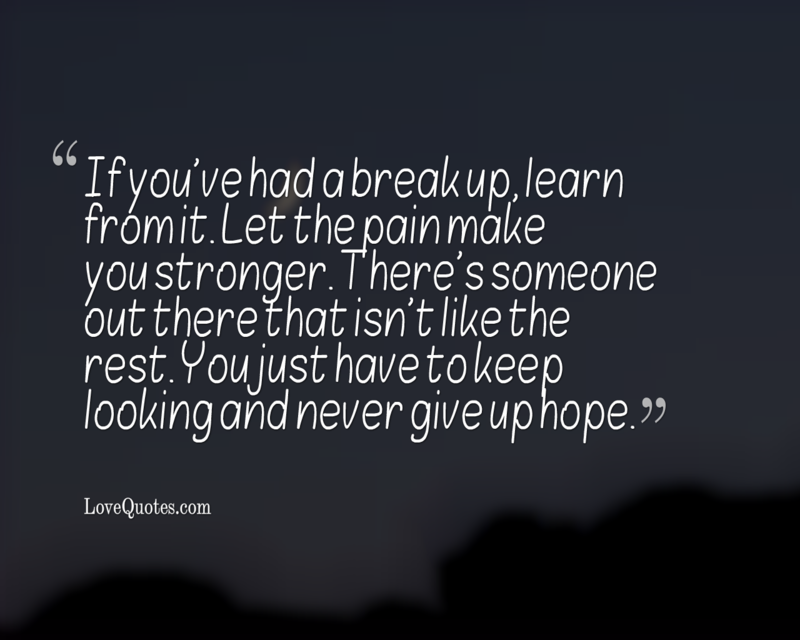 You just have to keep looking and never give up hope.